Tuition for the 2019-2020 is $42,330 for all grades. An annual $300 Enrollment Fee is due at the time of either enrollment or re-enrollment (for returning families). Tuition covers all instruction, lunch and snacks, some school supplies, and the school-related use of either an iPad (K-4) or MacBook Air (grades 5-12). While many of these fees are add-ons at other independent schools, we include them to help our parents apply financial aid awards toward the cost and also to allow parents to insure the entire cost of a Currey Ingram education via our Tuition Refund Plan. Additional costs for items such as class trips, books, bus service and afterschool activities are outlined in each Division Handbook, as they vary by Division. Handbooks are available as PDFs under each Division’s section in the Academics area of the website. Please note that fees and other information can change year to year and that our handbooks are updated on August 1 of each year, if not sooner. For questions regarding tuition, payment plans, and/or the Tuition Refund Plan, please contact the Business Office by calling (615) 507-3242. 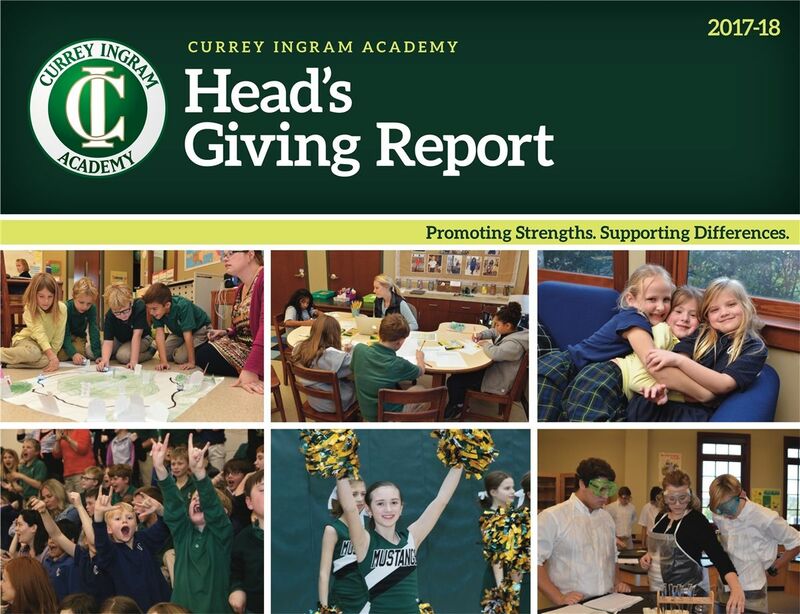 Currey Ingram Academy recognizes the importance of financial accessibility for all families. Approximately $1.75 million in financial aid was awarded to about 40 percent of the school's families for the 2018-2019 school year. 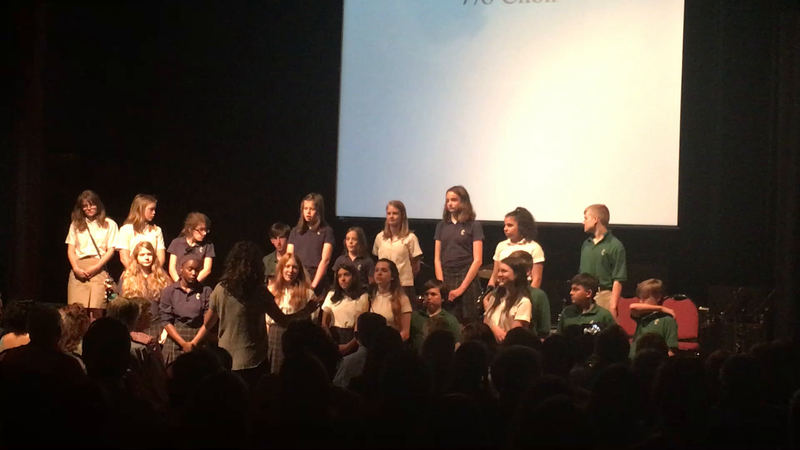 Included in these awards are funds provided through an endowment at Vanderbilt University for Currey Ingram students who have a parent employed by the University. Financial aid awards are based on need as determined by the School and Student Service for Financial Aid (SSS) and the Financial Aid Committee of the Board of Trustees. Families interested in admission and financial aid should inquire and proceed with both applications simultaneously. The financial aid process is handled through the Business Office and is totally separate from the admission process and application. A prospective student may not be considered for financial aid until the application process is complete and placement has been offered. Families wishing to apply for financial aid should request a financial aid packet from the Currey Ingram Business Office. The packet includes Currey Ingram’s financial aid policies and procedures, the SSS forms, and other information. All financial aid information provided to Currey Ingram is confidential. 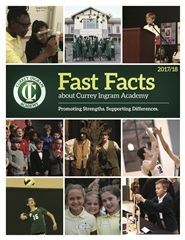 Almost 40 percent of Currey Ingram Academy students received need-based financial aid in 2018-2019. The average financial aid award was $15,22 4in 2017-18. Financial aid awards range from 2.5% to 50% of tuition, with some additional funding available for specific situations. We offer one pay, two pay and monthly pay plans. Families with a wide range of income levels apply for and receive aid . Anyone can apply for financial aid.